Florida is blessed with an abundance of remarkable state parks, nature preserves and national parks which provide both sanctuary for endangered animals and birds and vast playgrounds where people can escape the city and commune with nature. There are numerous opportunities for boating, hiking, biking, fishing, wildlife watching, camping and picnicking. 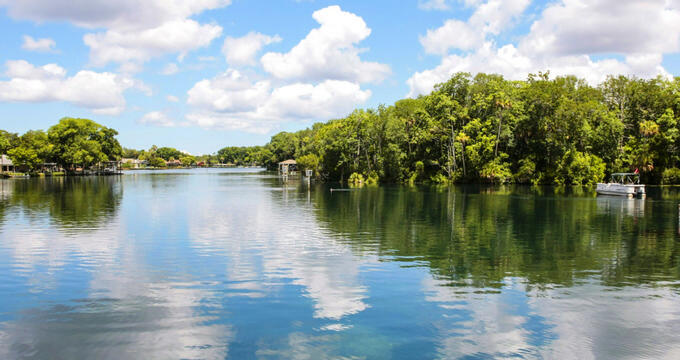 Alafia River State Park has in interesting history; it stands on the spot of a reclaimed phosphate mine, which has been turned into beautiful green space which offers a host of outdoor attractions for nature lovers. The park stands out from the rest of central Florida’s rather flat topography, offering challenging mountain-bike trails as well as pleasantly hilly hiking and equestrian trials for you to explore. If you prefer water activities you can go canoeing, kayaking and fishing along the Alafia River or one of the many lakes dotted around the park. 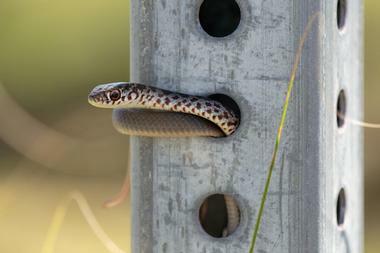 Other park activities include camping, picnicking, bird watching and geo-seeking. 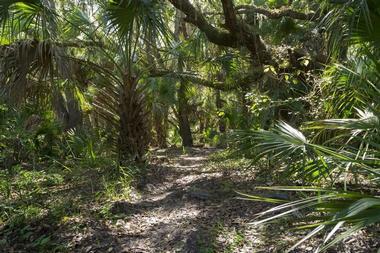 Conveniently located near Jacksonville or Fernandina Beach, the Amelia Island State Park protects more than 200 acres of pristine wilderness at the southern tip of Amelia Island. The park provides an idyllic destination for equestrians who are welcome to go horse-back riding along the beautiful beach – the only state park in Florida to offer equestrian trails on the beach. You can find everything you need at Kelly Seahorse Ranch. Other activities along this beautiful stretch of beach include cycling, fishing, paddling, picnicking and sand-castle building. The park offers a shower station and clean restrooms but you will need to bring everything else you need for a relaxing day on the beach. 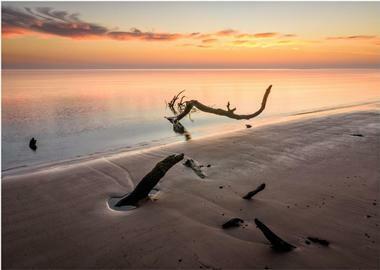 Anastasia State Park protects and showcases an enormous 1,600 acres of salt marches, pristine beaches and ancient sand dunes, providing an enticing playground for all nature lovers. Wildlife and bird watching are two very popular activities in the park and you can look forward to observing a wide variety of birds. The park offers a network of hiking and biking trails (you can rent a bike on site) as well as sailing, canoeing and kayaking, all of which offer good opportunities for wildlife watching from the estuary. If you would like to stay for a few days you can bring along your tent or RV and spend some time at the campground. 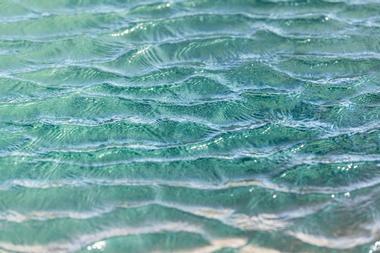 The four-mile pristine beach is great for fishing, swimming and surfing. 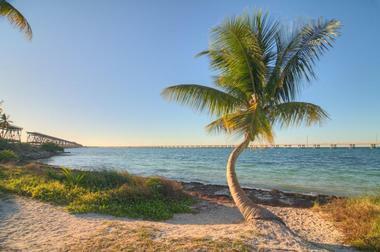 You will find the Bahia Honda State Park on an idyllic tropical island belonging to the famous Florida Keys. 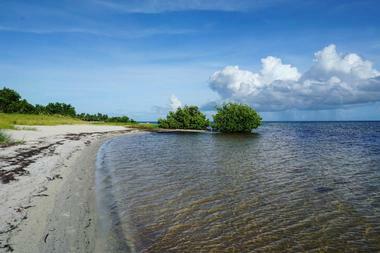 The island is linked to mainland Florida by the Overseas Highway which makes it easily accessible to visitors. The island boasts iconic Florida scenery – imagine palm-fringed beaches, crystal-clear azure waters, amazing sunsets and excellent opportunities for wildlife watching. The park can accommodate both RVs and tents and has six cabins which can rent if you would like to linger for a few days. You can spend your time boating, canoeing or kayaking (rental equipment available), go snorkeling or scuba diving or spend some time exploring the walking, hiking and biking trails. 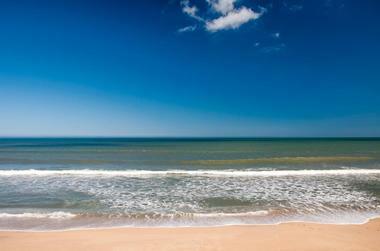 Or simply soak up the tropical sun on one of Florida’s best beaches. Big Cypress National Preserve protects the enormous freshwater Big Cypress Swamp (adjacent to the Everglades) which is in turn home to a huge diversity of plants and wildlife. 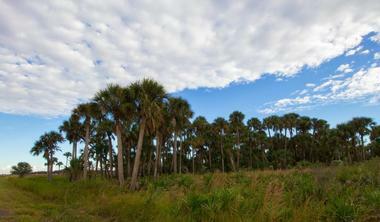 Exploring the preserve is an adventure which no visitor to south Florida should miss. You can spend several hours driving along a network of scenic drives, join a guided walk or other ranger-led activity or enjoy the sights and sounds as you paddle along the waterways by canoe or kayak. There are several road-side parks where you can picnic as you drive through the preserve and there are eight campgrounds where you can spend a night observing the amazing night skies. Big Lagoon State Park protects 704 acres of pristine coastal landscape located between the mainland and Perdido Key, along the Gulf of Mexico. 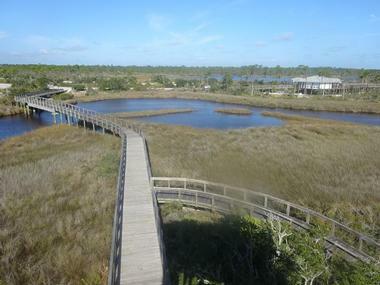 Here it provides an extraordinary playground for outdoor enthusiasts and nature lovers and offers a gateway to the Great Florida Birding and Wildlife Trail. You can spend your days enjoying a multitude of outdoor activities including boating, swimming, paddling, fishing and hiking and avid kayakers can use the park as a springboard to the Florida Circumnavigational Paddling Trail which circles the entire state. To fully appreciate all the park has to offer you should consider spending a few nights in the campground which is suitable for both tents and RVs. Home to the largest stretch of white-water rapids in the state, Big Shoals State Park is a magnet for experienced paddlers and also beckons walkers and hikers to come and explore an outstanding natural playground. The white-water rapids can reach Class III level when the Suwannee River rises, offers exhilarating and challenging conditions for canoeing and kayaking. Visitors who prefer to keep their feet dry have over 28 miles of hiking, biking and equestrian trails to explore and plenty of wildlife viewing to enjoy. You can fish along the river and a picnic area and restrooms are available near the entrance. Lying off the coastline of Miami, Biscayne National Park is remarkable in that it protects a combination of underwater coral reefs, aquamarine waters and verdant islands which are home to a huge diversity of marine creatures and on-shore wildlife. At the Dante Fascell Visitor’s Center, Gallery and Museum you can get a great overview of the park and embark on a variety of boat tours and other programs. Divers and snorkelers can follow the underwater Maritime Heritage Trail to explore various shipwrecks while history buffs will find plenty to interest them on Elliott Key and the Jones Family Historic District. You need to spend a few days to see everything and enjoy this water wonderland – campgrounds are available on Elliott Key and Boca Chita Key. 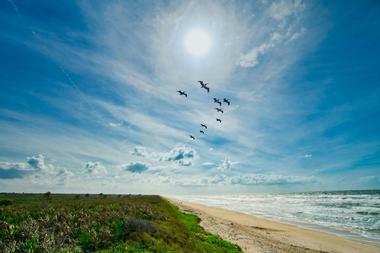 Located on a barrier island between New Smyrna Beach and Titusville, the Canaveral National Seashore is a popular recreational paradise for all nature lovers. Outdoor enthusiasts can enjoy a wide variety of water sports both in the lagoon and off the beach, including excellent surfing, boating, swimming, and fishing. Children can spend hours building castles on the sandy beach while adults enjoy the privilege of watching endangered birds and other wildlife in their natural habitats. Guided canoe tours are available and you can also sign up for the annual Turtle Watch or Night Sky Exploration events. Unpack a Pandora’s Box of archaeological marvels when you visit Florida’s fascinating Crystal River Archaeological State Park. The 61-acre national park protects remains of ancient pre-Colombian and Native American civilizations and is believed to have been the longest continuously used burial site in Florida. After you have admired the burial mounds (you can climb to the top of the main 30-foot mound to see how it was constructed) and visited the interpretive center and the museum you can enjoy several outdoor activities. Visitors can go hiking, biking and fishing or explore the park on a boat tour. Picnicking and geo-caching are other popular park activities. Occupying a surprisingly pristine location between Key Largo and Key West (which are, by contrast, heavily developed), the Curry Hammock State Park deserves to be on every visitor’s must-see list. 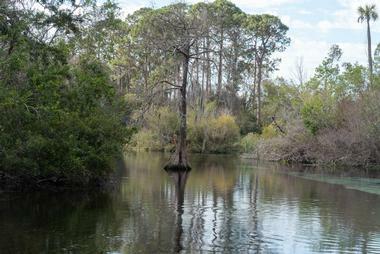 Within the confines of the park you can explore large mangrove swamps and sea-grass beds by canoe or kayak. Back-to-Nature enthusiasts can bring along their tents or RVs and enjoy camping in the pristine environment which offers kayak launches, campgrounds, beaches, swimming, hiking, walking and star-gazing. You can also go snorkelling off the beach and spend some time observing the wide variety of marine birds that call the park their home. The remote location of the Dry Tortugas National Park (70miles west of Key West), and the fact that it is only accessibly by boat or seaplane, ensure that you will find a truly pristine park where history and marine life will vie for your attention. 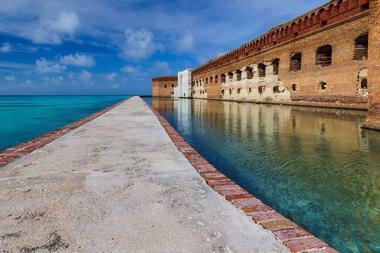 The park enjoys international fame for being the home of the superb 19th century Fort Jefferson, which is well-worth a visit. After your history lesson you can enjoy all the wonderful leisure activities on offer, including the chance to snorkel and dive amongst amazing marine life and fascinating shipwrecks. There is a primitive campground at Garden Key but you need to bring everything you need (including water) as there are no supplies available on site. It is almost impossible to talk about the Everglades without using superlatives; the Everglades National Park is the largest sub-tropical wilderness remaining in the US. It provides a habitat for numerous rare and endangered species of wildlife including the manatee, Florida panther and American crocodile and is a wetland of international importance. To get some background information you should plan to call into one of the park’s four Visitor Centers at the start of your visit – here you can listen to talks by naturists and get suggestions for activities from one of the rangers. The enormous park offers scenic drives, walks and hiking trails together with numerous options for wildlife viewing and water activities like canoeing, boating, kayaking and more. 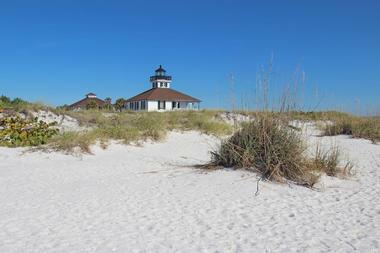 Gasparilla Island forms part of a chain of barrier islands which are separated from mainland Florida by Pine Island Sound. The state park is particularly attractive to fishing enthusiasts due to the fact that its waters are teeming with tarpon and other prized fish. However, if you are not interested in fishing there is still plenty to do on the island including cycling, hiking, swimming, snorkelling, shelling and sand-castle building. You can bring along a picnic to enjoy at one of two picnic areas. 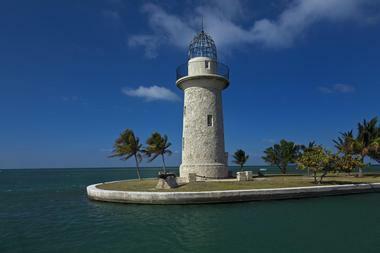 One of the highlights of the island is the Port Boca Grande Lighthouse (built in 1890), which is open to the public most of the year with the exception of August. Conveniently located within easy driving distance of both Lake City and Gainesville, the Gilchrist Blue Springs State Park is one of Florida’s newest state parks, offering visitors a wonderful day out crammed full of fun family activities. The park protects a series of natural springs including the largest, Gilchrist Blue, which pumps out a significant amount of crystal-clear water which makes its way through a shallow run to the near-by Santa Fe River. The park is a wonderful playground for children who can enjoy hiking, wading, swimming, paddling and snorkelling as well as wildlife watching and nature study. The park boasts restrooms and a concession where you can buy drinks and snacks. You will need more than just a day or two to explore the wonders of the Gulf Islands National Seashore, which stretches for over 160 miles from Cat Island Mississippi to Fort Walton Beach. When you set off to explore this national treasure you will find brilliant blue waters, long stretches of pristine beach, hiking and biking trails, campgrounds and even historic forts. 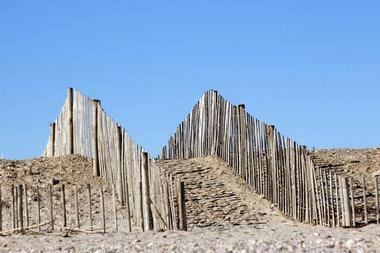 Thirteen separate areas make up the seashore, each of which offers visitors many outdoor activities to enjoy. The Perdido Key area in the Florida part of the seashore offers one of the most beautiful swimming beaches in the country, while the Santa Rosa area is equally inviting. 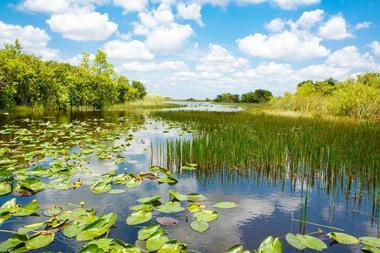 Jonathan Dickinson State Park is the largest of its kind in southeast Florida, protecting an amazing natural landscape made up of several rare environments such as scrub forests, upland lakes and the pristine Loxahatchee River. The park welcomes visitors to come and explore on foot, bike or horse-back along a network of paved and un-paved trails. You can also explore the wilderness by boat, canoe or kayak from the river, which offers great wildlife viewing opportunities. Other attractions include Trapper Nelson’s pioneer homestead (ranger-led tours available) and the Elsa Kimbell Environmental and Research Center. If you enjoy camping you can reserve a campsite suitable for either tents or RV. Once upon a time much of the country was covered by huge swathes of prairie grasslands. Today very little remains and the Kissimmee Prairie Preserve State Park is one of the few places where you can still lose yourself in an extensive expanse of grassland. The Prairie is home to many rare or threatened species of wildlife, making this state park essential viewing for nature lovers. The best way to immerse yourself in the park would be to bring along your tent or RV so that you can enjoy the remarkably clear night skies, far from any light pollution. 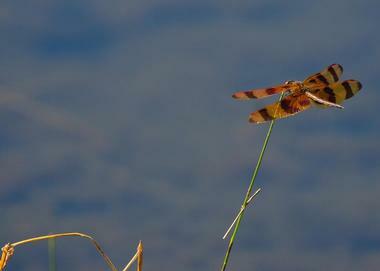 By day you can enjoy hiking and biking trails, brilliant bird-watching and ranger-led tours. Located around the scenic Blue Spring which gushes into a spring run to feeds the pristine Suwannee River, the Lafayette Blue Springs State Park is a great destination for a family vacation. You can bring your tent to the campground (or rent one of the quaint vacation cabins which are perched on stilts along the river bank. Family outdoor activities include swimming in the year-round 72-degree waters of the spring, crossing the natural limestone bridge, exploring the nature trail, horse-back riding, paddling and boating. The picnic area has two pavilions which are great for group get-togethers. Proficient scuba divers can explore the extensive Green Sink underwater cave system. 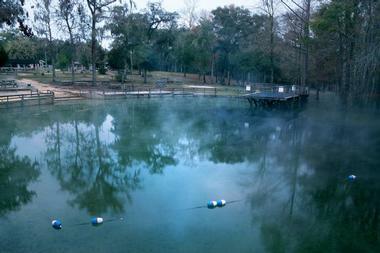 The Manatee Springs State Park protects one of Florida’s many first-magnitude springs, which produces a flow of over 100 cubic feet of water per second. 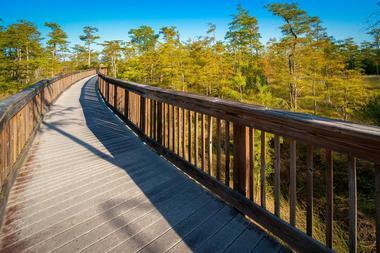 People have been enjoying the waters here for many thousands of years, as have a wide variety of animals and birds which you can observe as you explore the 800 foot boardwalk through the cypress forest. 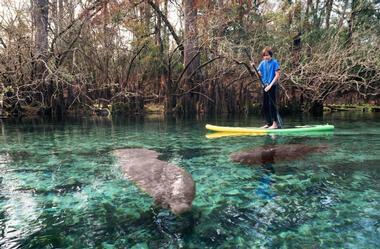 If you visit during the cooler months you may be lucky enough to spot a rare endangered manatee. You can enjoy great canoeing and kayaking along the spring run, and other activities include swimming, snorkeling and scuba diving, walking, running and hiking as well as boating and camping. Protecting the site of the second-largest Civil War battle to have been fought in Florida, the Natural Bridge Battleground Historic State Park in Tallahassee is a fascinating place to bring the family. One of the interesting features of the park is the amazing geological phenomenon which causes the St. Marks River to drop out of sight into a sinkhole and flow underground for some distance before reappearing on the surface. This historic Natural Bridge was the site of a mighty battle during the Civil War, when volunteers from the area held off the Union forces during three attacks. At the monument on the bridge you will find a shady picnic area where you can ponder the interesting history as you enjoy some fishing and relaxation. 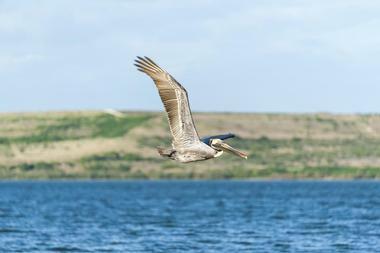 Nestled in the heart of extensive urban sprawl, the Oscar Scherer State Park provides an essential bolt-hole for many threatened and endangered bird species and a green space where locals and visitors can get back to nature. 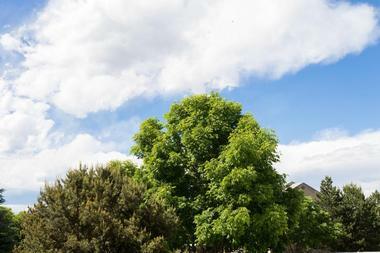 Here, surrounded by housing estates and highways you will find over 15 miles of trails to explore on foot and over 10 miles of paved biking trails. At the heart of the park Lake Osprey attracts many birds and provides swimmers, kayakers, anglers and paddlers with an attractive playground. South Creek also offers excellent paddling and campers can enjoy fully serviced campsites for tents or RVs. Rumored to be home to the illusive “Fountain of Youth” sought by Spanish explorer Ponce de Leon in 1513, the Ponce de Leon Springs State Park is an attractive park where nature lovers can spend some time relaxing and bird-watching. The waters of the Ponce de Leon spring are crystal clear and maintain a temperature of around 68 degrees all year round enticing visitors to come from near and far to enjoy a swim (perhaps in the hope of gaining eternal youth). There are picnic pavilions, change rooms and showers for your convenience. Birding enthusiasts should consider visiting in winter when many additional birds converge on the park and are easily spotted due to the lack of foliage. 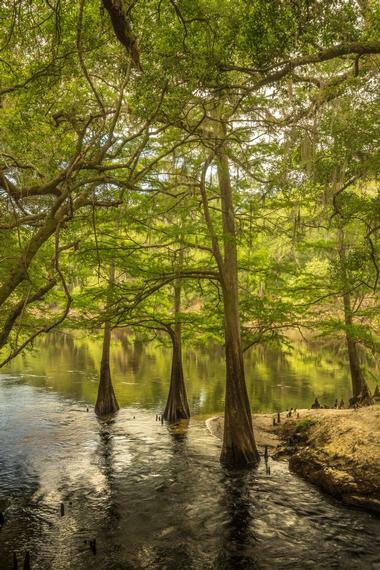 The Suwannee River State Park was once the site of Civil War battles and many forays undertaken to flush out Indian strongholds. Today you can combine an action-packed outdoor vacation with a little history as you seek out some of the historic relics which remain hidden within the park. If you would like to spend more than a day exploring you can reserve one of the holiday cabins or set up camp at the serviced campground which is suitable for tents and RVs. Activities within the park include paddling the Suwannee and Withlacoochee Rivers, exploring paved and off-road cycling trails or hiking and backpacking along the Big Oak Scenic Trail. Weeki Wachee is a State Park like no other you are ever likely to visit and you could be excused for thinking you have entered a theme park. Since 1947 the park has been entertaining visitors with a live mermaid show where you can watch beautiful mermaids perform in a spring-filled tank. Swimming is not restricted to the mermaids and families can have hours of fun in the pure spring water and on the water slides at Bucchaneer Bay. 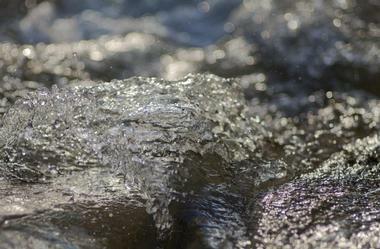 You can also go canoeing and kayaking along the spring run. For a change of pace the family can attend one of the park’s wildlife shows where you can get up close to some of Florida’s endemic reptiles and birds.